From the minute you arrive at Antria you will know you are on honeymoon. Tell us and we will have the Bubbles on ice for that quiet time to yourselves as the sun goes down. We will make the evening go smoothly by helping you book a romantic dinner for two at one of the local vineyard restaurants. 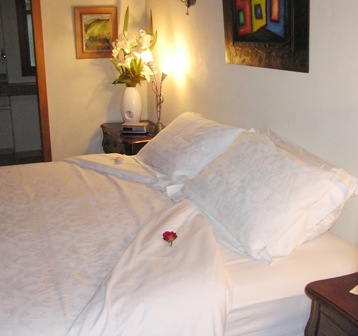 We will transport you to there and you can taxi back to Antria at your leisure where your room will be ready for you with a surprise on the pillow and a nightcap by the bed for your enjoyment.